When it comes to treats, Miss Molly and the pack ALWAYS enjoy fresh homemade treats! They are always hanging around in the kitchen and sniffing the air for the good smells coming out of the oven. As a fur Mom, I love treating them to fresh, HEALTHY homemade treats! 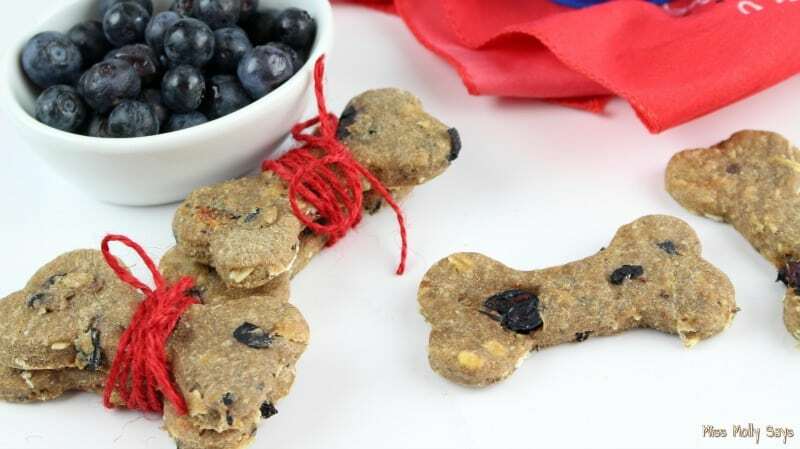 And, what can be better for them than Homemade Blueberry and Banana Dog Biscuits?! 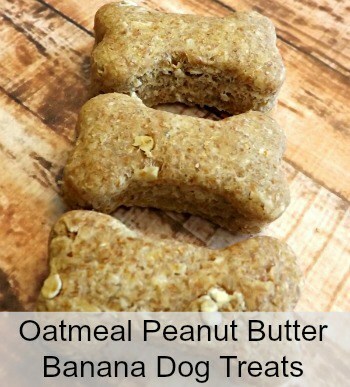 Your pups will love these tasty, healthy treats and you will love how easy they are to make! 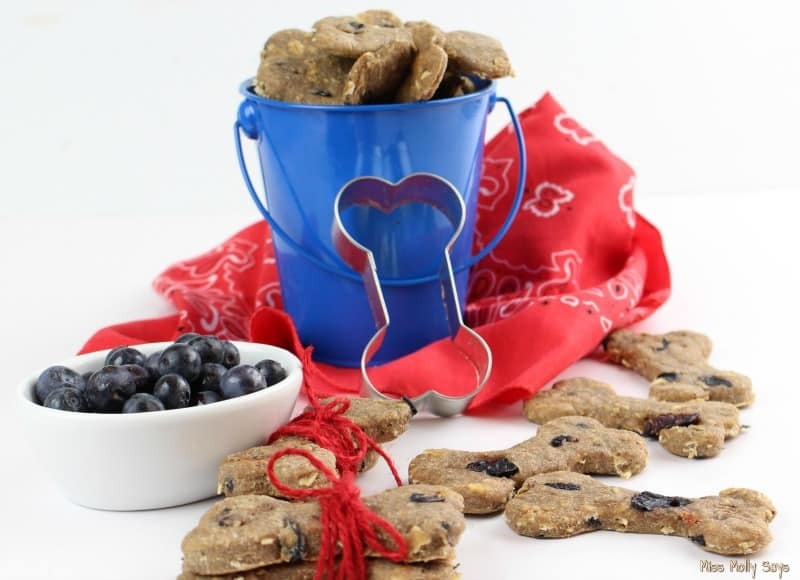 So, put your apron on and whip up these yummy goodies for your furbabies! Homemade dog treats and biscuits are so easy to make and so much better for them than store bought! 1. Preheat oven to 325°. Line a large baking sheet with parchment paper and set aside. 2. 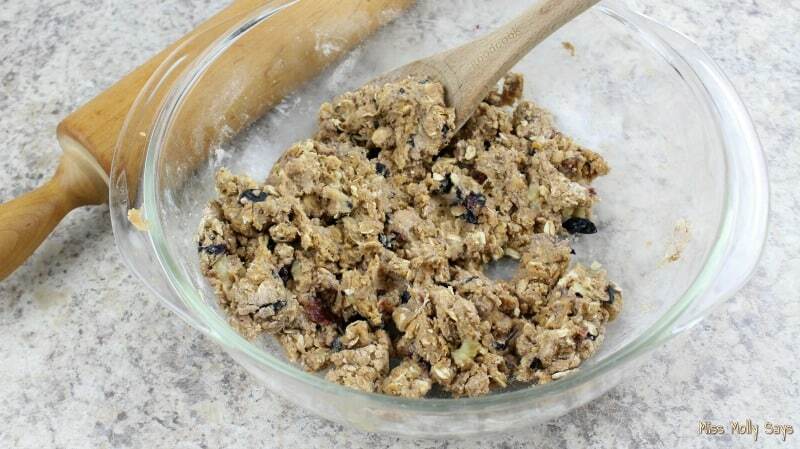 Add all of the ingredients in a large mixing bowl. Mash the blueberries slightly and stir well until a ball of dough forms. it is soft and elastic. 4. Roll the dough with a rolling pin until it is about 1/2 inch thick. 5. 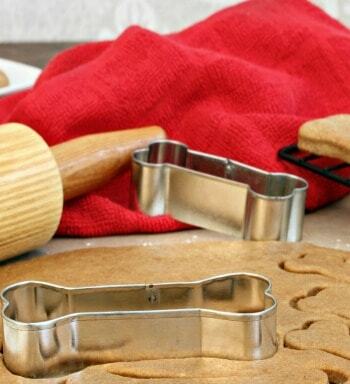 Cut out dog bone biscuits with a cookie cutter and place the biscuits on the lined baking sheet. 7. Store in the refrigerator in an airtight container for up to 10 days. Preheat oven to 325°. Line a large baking sheet with parchment paper and set aside. 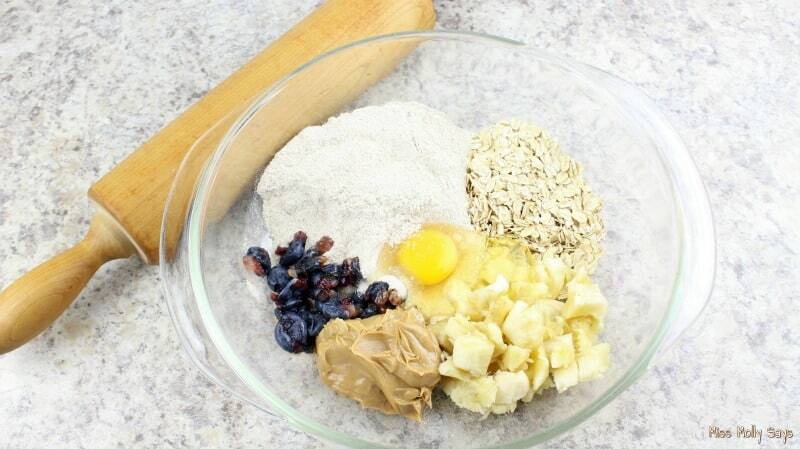 Add all of the ingredients in a large mixing bowl. 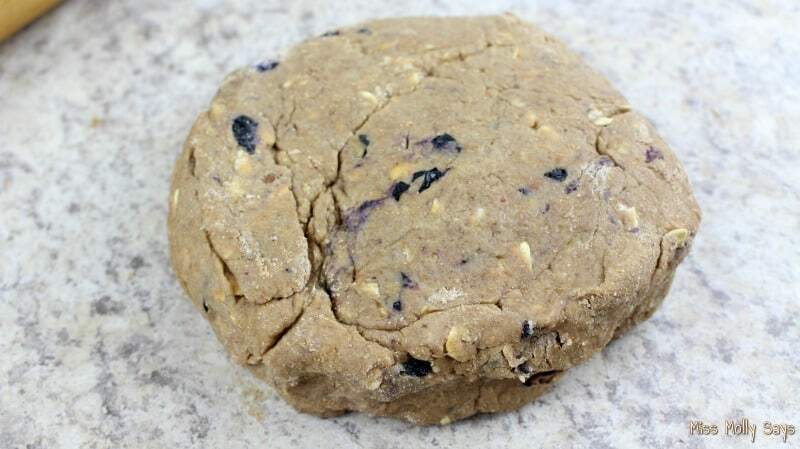 Mash the blueberries slightly and stir well until a ball of dough forms. Place the dough on a lightly floured work surface and knead for about 5 minutes or until it is soft and elastic. 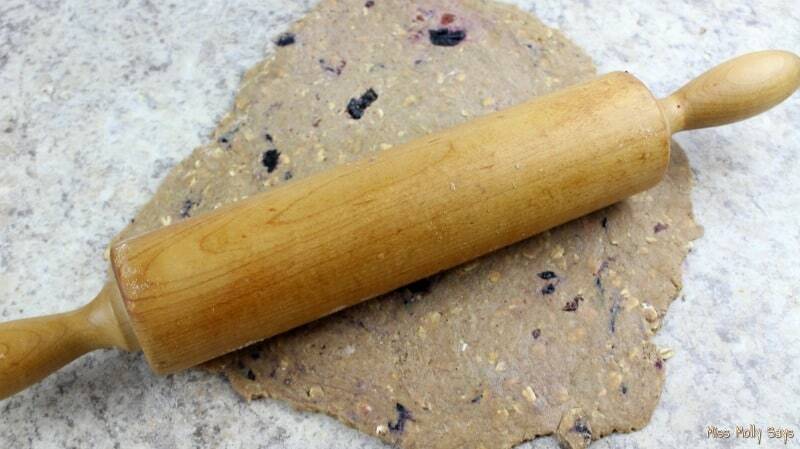 Roll the dough with a rolling pin until it is about ½ inch thick. 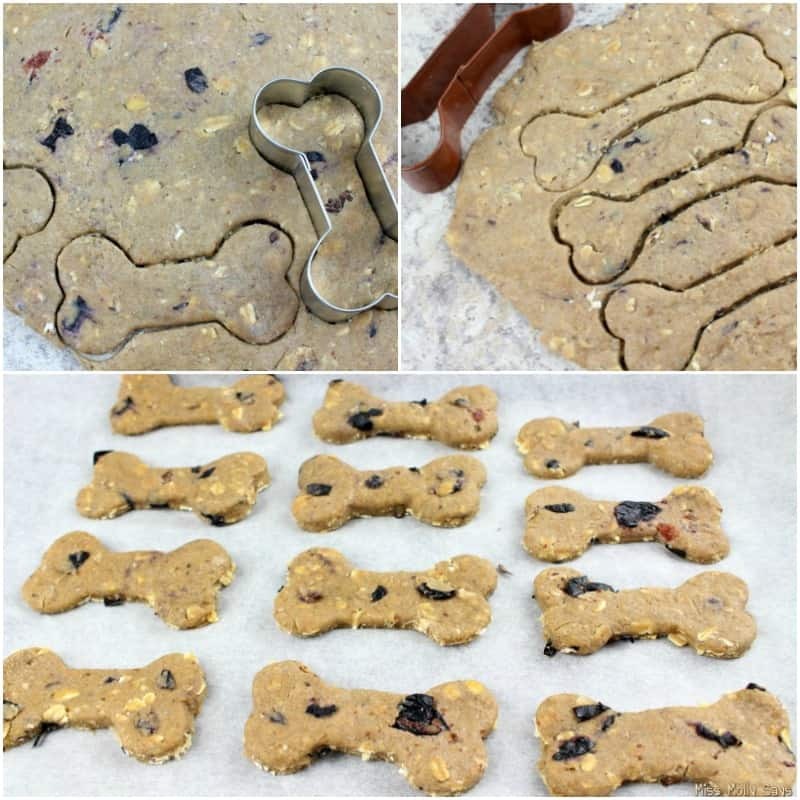 Cut out dog bone biscuits with a cookie cutter and place the biscuits on the lined baking sheet. Bake for 12-14 minutes or until the biscuits begin to turn brown. Cool on a wire rack for 15 minutes. 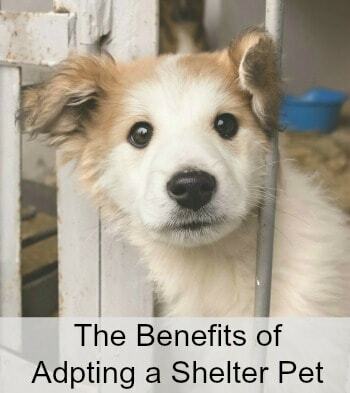 Store in the refrigerator in an airtight container for up to 10 days. I think my dogs would love these ! That looks like a yummy treat. Good ingredients that I could even eat. 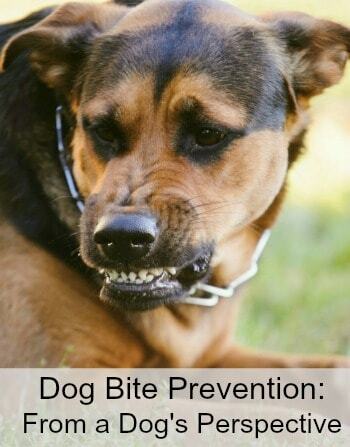 I hadn’t thought about using blueberries or bananas in my dog treats. Thanks! I’m looking forward to make these for our pup with my daughter. 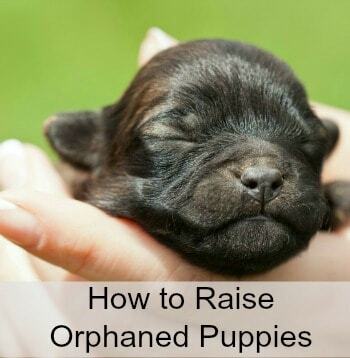 Our pup will be thrilled. As anyone in the family come by as you are making these and grabbed some dough? 🙂 Going to share this with my sister in law she has made goodies for the dogs before. Wow! These look good enough for people! Lol, I don’t have a dog, but I would make these for my friend’s pooch! This recipe sounds so delicious! I know the dogs would go crazy to have eat them. This looks like a great recipe. 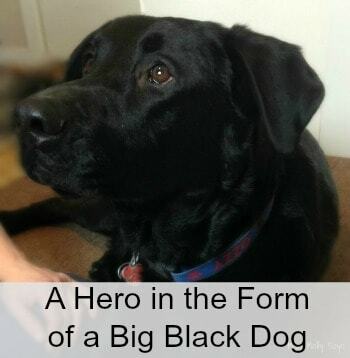 these homemade goodies for dog s are incredibly darling and l wish I had a dog! I made these and they came out great ! How many calories per batch ?